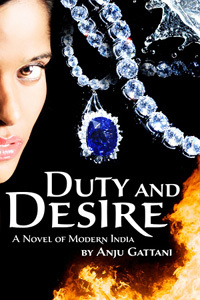 Atlanta’s own fiction author and freelance journalist, Anju Gattani embarks upon her writing journey with ‘DUTY AND DESIRE’, the first book in her Winds of Fire series. Internationally released in December 2011, the novel dissects various conflicts protagonist Sheetal Prasad must battle in order to find, define, refine and develop herself even as she feels bound by duty and fueled by desire. 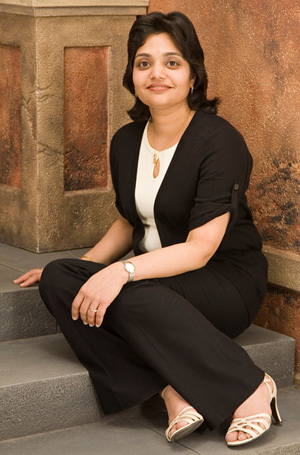 Gattani’s Sheetal Prasad, in her own words has it all: youth, beauty, wealth and education. And to top it all, she marries into India’s titanic royal family. Contrary to stereotypical portrayals of Indians, Gattani’s characters originate from the higher strata of society. Wedding descriptions of the rich and famous occupy a huge space in the narrative. The author however manages to weave the elaborate descriptions within the confines of the storyline so it never feels deliberate or forced. The festivities come alive and help the reader connect well with the sketches. The intrigue of the arranged marriage certainly adds an additional dimension, especially for those unfamiliar with the territory. Romance and lust are focal points, but greed and mystery thrown in for good measure certainly makes for an interesting build up. ‘DUTY AND DESIRE’ is essentially Sheetal Prasad’s metamorphosis into womanhood. Sheetal decides to place honor ahead of love and abandons her true love when she marries into the elite and exclusive Dhanraj family. Sanjeet Dhanraj is a man of many layers. He is rich and powerful, bold and delightful on the attractive side but is also demanding and reclusive, arrogant and sometimes abusive on the other. The complexity of characters extends to all members of the Dhanraj family who seem to be hiding something as large as their family fortune. Sheetal’s immediate challenge therefore lies not only in overcoming her own agony of losing the love of her life, but also in unveiling, understanding and accepting the various aspects of the man and the family she is married to. Gattani successfully adds various dimensions of intricacy into Sheetal’s already complicated life. Sheetal finds herself painfully attracted to her handsome husband, in spite of the fact that he practically rapes her on their wedding night. Even as Sheetal fights her burning desire to be with Sanjeet, she battles to find a space she can call her own, position herself in the family and develop a personality that defines and identifies her. Her mother and sisters-in-law, burdened and buried in their past, initially shock Sheetal. The nicely paced writing traces the empowerment of Sheetal as she learns to overcome her fears and tears, to turn into a stronger and more determined woman. Gattani is very cognizant of the setting her characters are placed in. She wants to highlight the lifestyle of India’s rich and famous. As she mentioned in her interview with NRI Pulse, she has researched the brands and behavior of the affluent and it shows. There is meticulous and detailed description of the interiors, cars, clothes, jewelry and pretty much anything that surrounds a wealthy setting, for those interested in educating themselves about the same. One of Gattani’s goals, she mentioned, was to bridge cultures and break barriers. The western world may find it difficult to relate to some of Sheetal’s conflicts, such as her need to marry for honor and continuing to stay in a highly dysfunctional, deceitful marriage. However, there is plenty of room for a universal appeal. Because once you look beyond the traditional setting, and see Sheetal as an abused woman, the problem she faces is unfortunately widespread in society. For all practical purposes, Sheetal is an abused woman. She must find the inner strength to face her abuser and stand up to his atrocities. Gattani says she looked into this material and found that the abused women generally tend to stay in these relations mostly because they are convinced that they are responsible for the abuse that they endure. The abuser has convinced them of that. It makes it even easier for the abuser when the abuser, Sanjeet in this case is a charming, intelligent and an influential man. Gattani manages to build up enough suspense, but the ending leaves a little bit more to be desired. However, the journey of gradual transition of a girl into a woman as she experiences romance, sexual tension, frustration and all aspects of womanhood in an exotic setting makes a compelling pitch. The highly apt and befitting cover packages ‘DUTY and DESIRE’, into a desirable read, indeed.